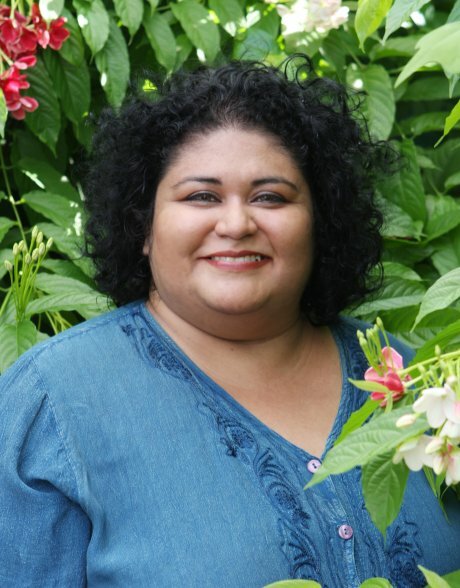 ire’ne lara silva is the author of the poetry collections Blood Sugar Canto (Saddle Road Press, 2016) and furia (Mouthfell Press, 2010), the chapbooks, Enduring Azucares (Sibling Rivalry Press, 2015), ani’mal and INDíGENA, and the short story collection, flesh to bone (Aunt Lute Books, 2013). Her poetry, short stories and essays have appeared in more than fifty journals and anthologies, including Acentos Review, Ginosko Literary Journal, Más Tequila Review, Pilgrimage, CIPACTLI, Kweli Journal, The Worcester Review, Borderlands: Texas Poetry Review, Palabra, The Weight of Addition: Texas Poetry Anthology, Improbable Worlds Anthology, Beat Texas Poetry Anthology, Turtle Island to Abya Yala: A Love Anthology of Art and Poetry by Native American and Latina Women, and in New Border Voices: An Anthology (2014). silva and Dan Vera recently co-edited IMANIMAN: Poets Writing in the Anzalduan Borderlands, an anthology of essays, poetry, and hybrids of the two, published by Aunt Lute Books in 2017.
silva is the recipient of the Alfredo Cisneros del Moral Foundation Prize, the 2014 NACCS Tejas Foco 2nd place award for flesh to bone, the 2013 Premio Aztlán Fiction Award for flesh to bone, the 2013 Fiction Finalist for AROHO’s Gift of Freedom, and the 2008 recipient of the Gloria Anzaldúa Milagro Award. She is a Macondo member and a 2010 Cantomundo Inaugural Fellow. From 2004 to 2008, she was the Executive Coordinator for the Macondo Writing Workshop/Macondo Foundation. She and Moises S.L. Lara were co-coordinators for the Flor de Nopal Literary Festival (2011-2015), and she is currently a 2016-2018 Texas Touring Roster Artist. “Blood-sugar-canto,” “dieta indigena,” and “the world is medicine,” in El Mundo Zurdo 4 Anthology, forthcoming. “En trozos/in pieces” and “one-sided conversations with my mother” in Entre Guadalupe y La Malinche Anthology, forthcoming. “Frontera me viste crecer” in the Beat Texas Anthology, forthcoming. “Shame: a ghazal in pieces,” “you do not understand,” and “two sugars” in La Tolteca Zine, forthcoming. “Despair” in AIPF Anthology, 2014. “En trozos/in pieces” in Luna Luna Magazine, August 2014. “October 2, 2013” and “no more barbed wire” in Dialogo, Fall 2014. “I call myself back” in Chicana/Latina Studies MALCS Journal, June 2014. “la huesera” in NewBorder: An Anthology. Spring 2014. “Neuropathy: poems of 4 words or less” in Mujeres de Maiz, Spring 2014. “The diabetic lover” in G.R.I.T.S. Anthology, Winter 2013. “Diabeticepidemic” and “tierra” in the Gulf Stream Anthology, Fall 2013. “Labwork,” “depression: an interrupted sestina,” and “the world is medicine” in Clackamas Literary Review, Fall 2013. “Ode to the syringe” in Huizache Review, Fall 2013. “The geo-physics of de-tribalization” in Unraveling the Spreading Cloth of Time: Indigenous Thoughts Concerning the Universe, April 2013. “Poem for frida: patron saint of art and pain” in Bordersenses, Summer 2012. “We don’t give morphine for heartburn” in Mas Tequila Review, Summer 2012. “Susto” in El Retorno: Our Serpent’s Tongue, May 2012. “cortando las nubes” in Yellow Medicine Review. Winter 2011. “the ocean’s tongue” in Acentos Review. September 2010. “Question from the café’s only brown poet’ and ‘warning: for the indigena/o who writes” in Finding Gloria: Nos/Otras, 2010. “I come from women illiterate and rough-skinned” in Kweli Journal, December 2009. “hunger/hambre/mayantli” in Cipactli. January 2008. “Did you find god on the roads” in Sin Fronteras/Writers Without Borders, Spring 2007. “Pensar en ti” in Palabra: A Magazine of Chicano and Latino Art, November 2006. “iIesa”, “freedom: second poem”, “la tinta”, “no dejaremos”, and “tierra de batalla” in Soleado: Revista de Literatura y Cultura, February 2006. “My sister can’t sleep” in Worcester Review, December 2004. “Corazonaztlan”, in Codex Aztlanahuac: In Search of a Homeland. Patricia Gonzales, Roberto Rodriguez, and Cecilio Garza Camarillo, Eds. November 2002. “Trembling makes the earth speak” and “hungry” in Borderlands: Texas Poetry Review. Spring/Summer 2001. “Quemame” and “mi vida my brown man” in Mesquite Review. May/June 1998. “Behind the garden with no boundaries” in AIPF 2001: a diverse city odyssey. April 2001. “One-sided conversations with my mother,” in La Palabra-The Word is a Woman/Mothers and Daughters Anthology. Spanish Translation of “Reflections on mothers, fathers, poetry and the androgynous mind” in Revista Sincope. “The geo-physics of de-tribalization,” La Bloga, Poets Responding to SB 1070.